DESPITE the murky water, a boat concessionaire at the Burnham Park Lake said rental of boats remains good. Eduardo Florendo, 62, said he is earning at least P1,000 from his 10 boats on a daily basis although the number of tourists visiting the Summer Capital have already dwindled. “The lake water is brown but it does not have foul odor that’s why we still have tourist enjoying the boat rides,” he said. A 30 minutes boat ride would cost P100. The boat has a capacity of at least six to eight riders. However, income from boat rides is low during rainy days. “We barely earn P300 during rainy days,” he said adding boat concessionaires are paying a monthly fee of P8,900 to the city government for the commercial use of the lake. 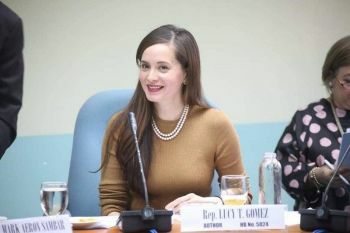 Meanwhile, Department of Environment and Natural Resources Conservation Division chief Julius Cawilan said the lake is serving as a catch basin to the surrounding landscape of the central business district making the color of the water at times brown especially during the summer season. “Naturally, as a catch basin, all the soil from the excavation works surrounding the park drains to the lowest portion which is the lake,” Cawilan said. City Environment and Parks Management Office (CEPMO) head Cordelia Lacsamana earlier explained that chocolate brown color of the lake may only be attributed to the formation of algae which turns dark to reddish brown. Lacsamana pacified the alarm raised by tourists and boat concessionaires on the lake’s water safety and denied the water to be toxic to fishes as well as to humans who might get in contact with the lake. The CEPMO head said the chocolate brown to reddish brown color of the lake is a natural phenomenon as the brown soil cover beneath the 10-feet deep lake is constantly being stirred by paddles of boats resulting to the flotation of suspended materials such as mud and algae. Lacsamana added the Bureau of Fisheries and Aquatic Resources (BFAR) also conducted a water quality monitoring to the lake which showed that a thriving ecology for the Japanese coi, tilapia and carp fish species maintained at the lake.